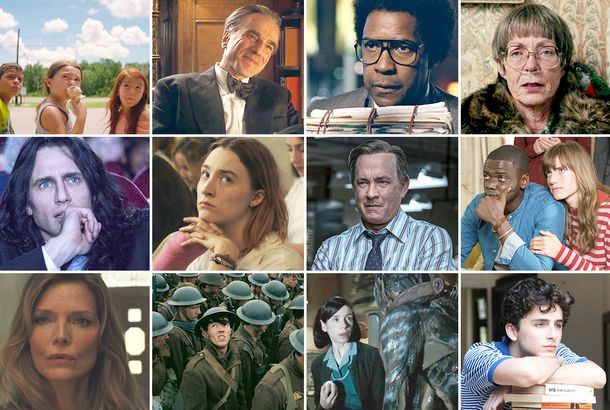 A24’s Film Catalogue Lands on Kanopy, the Streaming Service You Now LoveThank goodness for libraries! Lucas Hedges Feels the Same Little Women FOMO As You“I’m pissed off!” he joked. 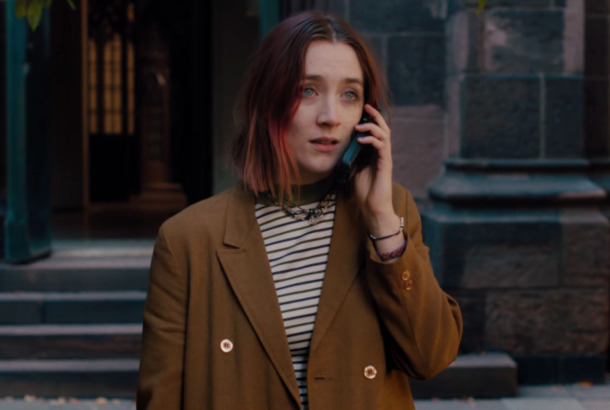 More Movies Should Show Teen AcneIn Eighth Grade and Lady Bird, we get to see girls who have imperfect adolescent skin. 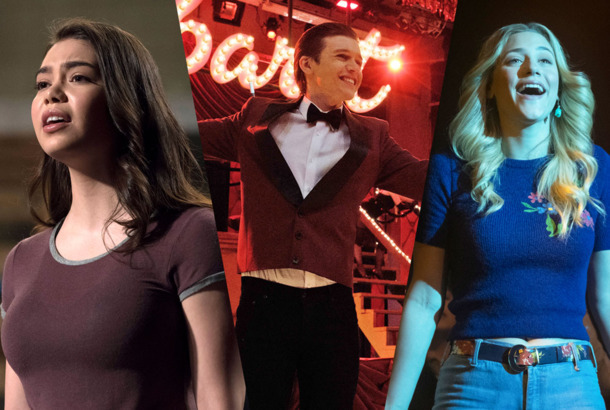 Theater Kids Are Everywhere on TV and in MoviesDrama club is officially the coolest extracurricular. 2 Chainz’s Mom Rapping in His New Video Will Bring Infinite Joy to Your LifeCancel all other music videos. A Tribute to Lady Bird, Which Won No Oscars, But Was Still Hella TightWe need more movies that show girlhood and home life as something dramatic and exquisite. Saoirse Ronan’s First Oscars Was Disrupted by Silly George Clooney AltercationCloon! Lady Bird Will Go Home Empty-handed on Oscar Night, Unless …… some of these five come-from-behind conditions are met. Here’s the Lady Bird Trailer But With Everyone Screaming the Entire TimeLADY BIRD, IS THAT YOUR GIVEN NAME? Saoirse Ronan Played ‘Who’d You Rather’ on Ellen, Reveals Crush on DrakeSaoirse Ronan was very bad at playing Ellen’s matchmaker game. Directors Guild of America Nominations Recognize Jordan Peele and Greta GerwigPeele also received a second nomination for best first feature. You Want Saoirse Ronan to Be Your Catchphrase PartnerShe’s very descriptive. Greta Gerwig Accepts Lady Bird’s Golden Globe, Thanks Her Mom and SacramentoGerwig’s movie Lady Bird won Best Motion Picture, Musical or Comedy. Did Lady Bird Make the Right College Choice?Examining Lady Bird’s decision with the benefit of hindsight. Who Ruined Lady Bird’s Perfect Rotten Tomatoes Score? An InvestigationAn official (hella tight) Vulture investigation. The 10 Best ‘Call Your Mom’ Movies of 2017From Girls Trip to Lady Bird. 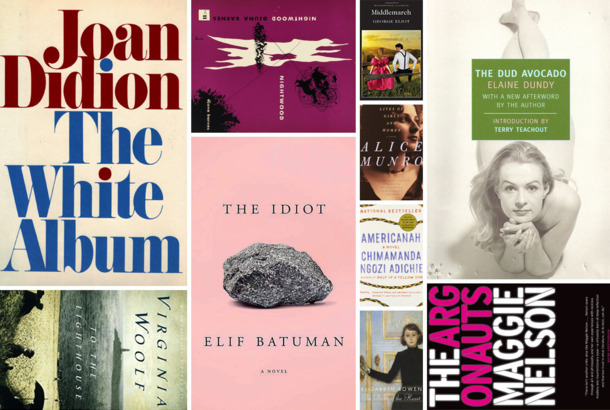 Greta Gerwig’s 10 Favorite BooksGeorge Eliot, Virginia Woolf, Joan Didion, and more. The Shape of Water, Netflix Lead 2017 Critics’ Choice Awards NomineesThe Shape of Water earned 14 nominations. 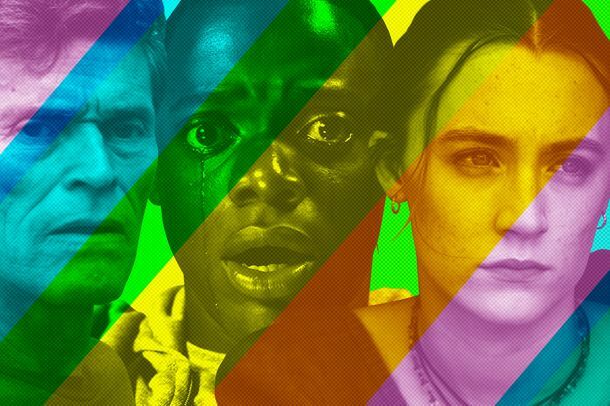 Emily Yoshida’s 10 Best Movies of 2017Including Lady Bird, Princess Cyd, and Spettacolo. The 10 Best Movies of 2017Including Call Me by Your Name, BPM, and Valerian. Oscar Futures: Lady Bird’s Oscar Chances Look Very BallerIt picked up big wins from critics’ groups this week, but how far can it go? The Post Named Best Film by the National Board of ReviewGet Out and Lady Bird also took home multiple honors. Lady Bird Just Became the Best-Reviewed Movie on Rotten TomatoesThat’s hella tight. Call Me By Your Name and Get Out Lead Indie Spirit Awards NominationsThe field includes Lady Bird, Beach Rats, Gook, Mudbound, and more. Who Is Beanie Feldstein and Why Is She Suddenly Everywhere?Saoirse Ronan’s best friend in Lady Bird is Jonah Hill’s sister.